You are here: Home / Pricing For Profit Workshops for HVAC and Refrigeration contractors. Today’s competitive environment demands that you work harder, but you also need to work smarter. Your pricing is probably too low! Most contractors are actually netting a percentage of profit that is far below what it should be. 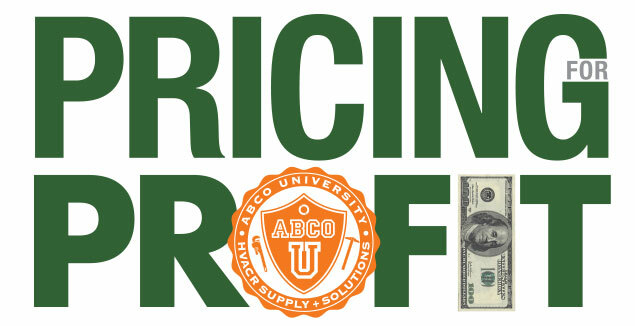 This class is presented by Dr. Ron Collier PhD, founder of the Collier Consulting Group, a leading consultant to HVACR companies throughout the U.S. You’ll learn to implement simple pricing systems to deliver a better net profit and learn how to position yourself attractively in your market. $149 fee includes breakfast, lunch and materials.